After 48 hours of abstaining, a person would have dealt with the worst withdrawal symptoms of having to stop smoking. The highest recorded rates among men were found to be in Yemen (77%) and in Indonesia (69%). Yemen also had the highest prevalence of smoking among women, where almost one third was found to smoke. The study reported that other Muslim majority countries with high smoking rates were Tunisia (62% of men), Guinea (59% of men) and Turkey (51% of men). Smoking prevalence was reported to be significantly high even among Muslims living in non-Muslim European countries. For example, in England in 2004 the overall prevalence of smoking was 40% in Bangladeshi men and 29% in Pakistani men compared to 24% among the male general population. Given these high smoking rates and with Ramadan just days away, experts across the Muslim and non-Muslim worlds are saying that Ramadan could be the ideal time to quit smoking. Makhoul added that after 48 hours of abstaining, a person would have dealt with the worst withdrawal symptoms of having to stop smoking. Most experts tend to agree that Ramadan gives Muslims a head start in curbing the smoking habits by forcing them to stop smoking for 15-plus hours of the day. 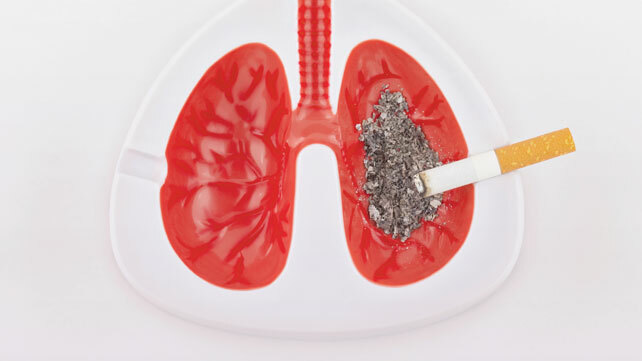 Initially on suddenly stopping smoking, there are some withdrawal symptoms that might push smokers with weak will and personalities to smoke again. However, with the long fasting hours throughout 30 days, this gradual system helps in lowering the withdrawal symptoms, making it easier to stop smoking entirely. Within the first 15 hours of not smoking, the blood pressure, body temperature and heart rate return to normal. There is also a 93% reduction in nicotine levels in the body. Oxygen levels also return to normal and carbon monoxide levels go down as well. By smoking again, the smoker undoes all the good things that happened during the fast. Access to effective pharmacological and behavioral approaches to stop smoking remains poor within many Muslim countries as well as among Muslim smokers in Britain. Influence of Islam on smoking among Muslims; BMJ Volume 332, pp 291-294.